Careful rationing of pasture to stock is an essential part of farm management. This can be done by dividing large paddocks into smaller ones, so all the pasture will be grazed in a short time and stock will not trample unused pasture. 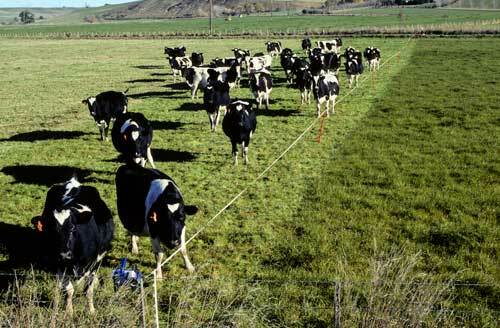 Alternatively, a paddock can be temporarily subdivided with an electric fence, so only a smaller area of pasture is available to animals. This is called break feeding, and is often done in winter.